The United States (US) government has pledged to provide more than P300mn in financial support for intelligence-gathering in the Philippines' counter-terrorism effort, Malacanang announced yesterday. 'We welcome the United States' commitment in fighting terrorism. This shows that our military alliance with the United States remains strong, Panelo said. 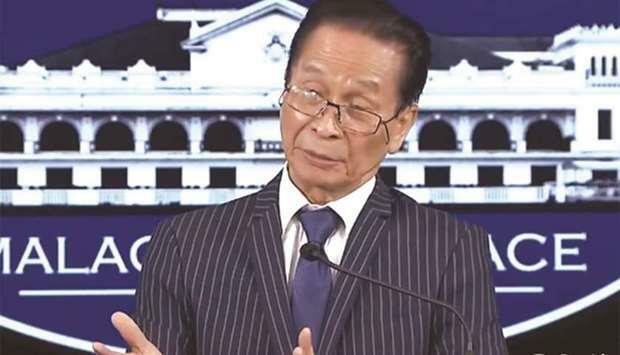 Panelo noted that terrorists in Mindanao 'have gained a foothold and have unleashed bombs that killed our soldiers and civilians, but added it did not stop the people from participating in the second plebiscite on the ratification of the Bangsamoro Organic Law (BOL). 'While the terroristic acts have created fear and anxiety in the inhabitants of the region, they however refused to be intimidated and cowed as they exercised their right of suffrage in the just-concluded plebiscite, he said. The Palace official reiterated that government forces would 'relentlessly hunt down the 'mass murderers. 'Our armed forces are relentlessly pursuing the mass murderers even as some of them have been criminally charged and presently detained, Panelo said. Panelo said Kono conveyed Prime Minister Shinzo Abe's 'grave concern over the twin explosions in Jolo, Sulu. 'During that hour-long meeting, Kono reiterated Japan's sustained support for the Philippines' quest for just and lasting peace and development in Mindanao and extended felicitations for the success of the holding of the Bangsamoro Organic Law plebiscite, Panelo said. 'But we welcome all kinds of help. As I said, all nations of the world must unite to combat terrorism, he said Kono, the Palace said, informed the Philippine government that Japan was willing to open up its labour market for qualified Filipinos, in recognition of the Philippines' contribution to the socio-economic development of Japan. Duterte thanked Kono for the visit and lauded Japan for being a 'true friend for its involvement in the country's 'Build, Build, Build programme, the Palace said. 'The President highlighted the quality of the infrastructure projects, as well as the transfer of technology and training embedded in the projects that would benefit Filipino practitioners and experts, he said.